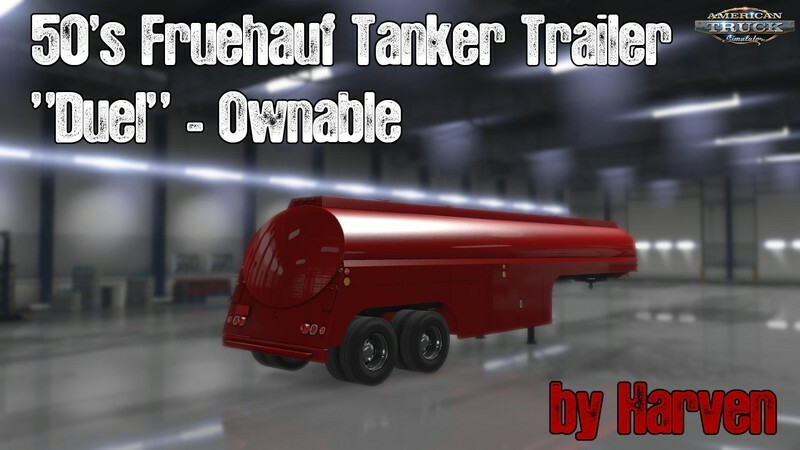 This is standalone ownable version of 50's Fruehauf Tanker Trailer. 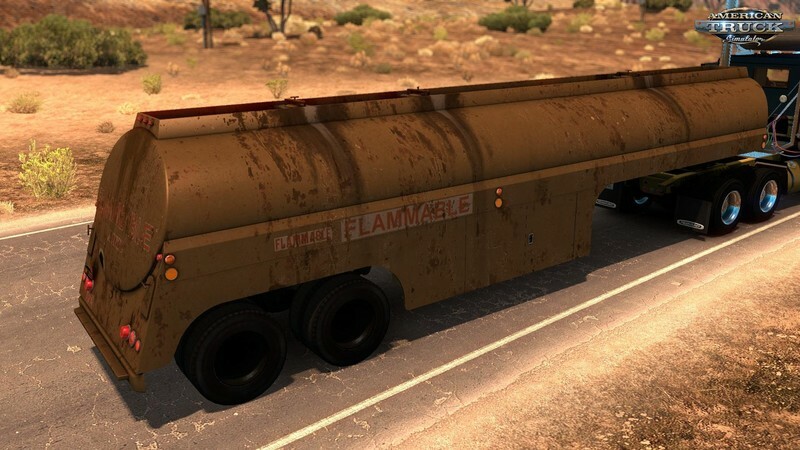 This ownable tanker is based on the trailer you can see in "Duel" movie by Steven Spielberg. It's available in two variants at the dealer: "Old" and "Restored". Available cargos are: aromatics, diesel, petrol and solvents. The model is made from scratch. In the movie there are actually two tankers: first one was destroyed in the final scene during the original filming. Later Spielberg made additional scenes for full-length theatrical version. If you look closely you will see the differences between those two trailers. I made this trailer to look like the first one which is appearing through the majority of scenes. Enjoy!